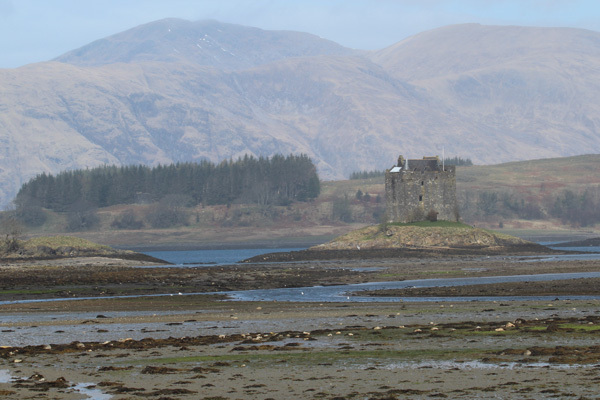 Castle Stalker is a four storey medieval tower house standing on a small rocky tidal islet known as Rock of the Cormorants, in the mouth of Loch Laich. 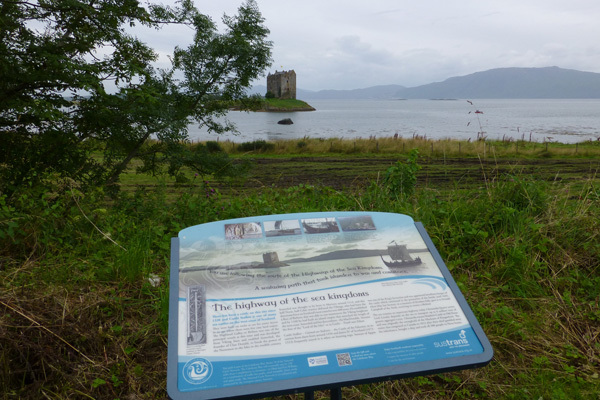 Castle Stalker is located about 2.4 km north east of Port Appin in The Lynn of Lorn National Scenic Area, approximately 25 miles north of Oban. 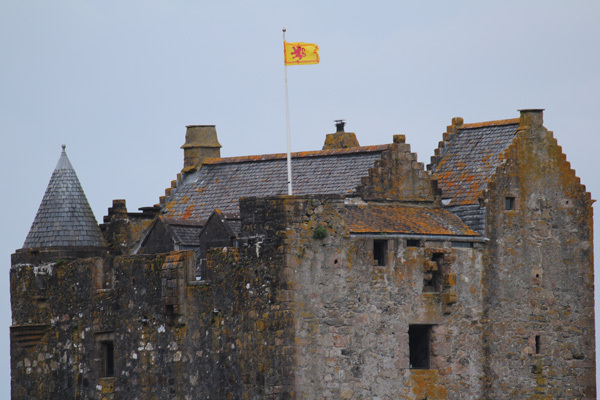 The castle has a turbulent history including clan rivalry, murder, illegitimacy, intrigue and royal connections. 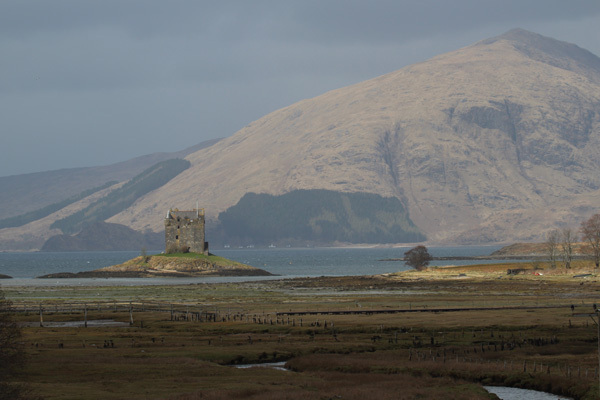 The site originally supported a small fortified building (fortalice), built in 1320 by the Lords of Lorn, the Clan MacDougall. The tower house with barnkiln (a defensive enclosure) was built in the mid fifteen century by the Stewarts who acquired the Lordship in 1388. 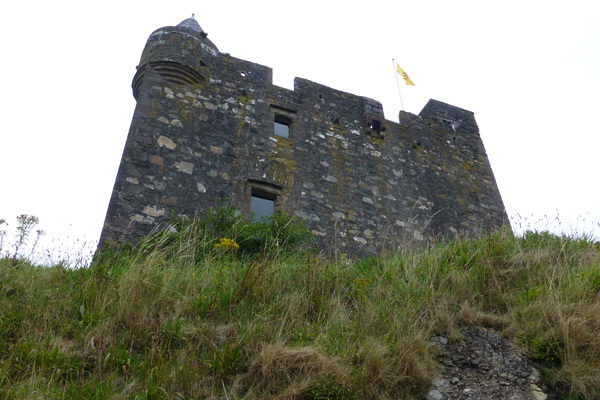 The castle extended over four floors, a ground floor, two upper floors and a garret (attic room) with an enclosed parapet walk, with walls up to 2.7 metres thick. 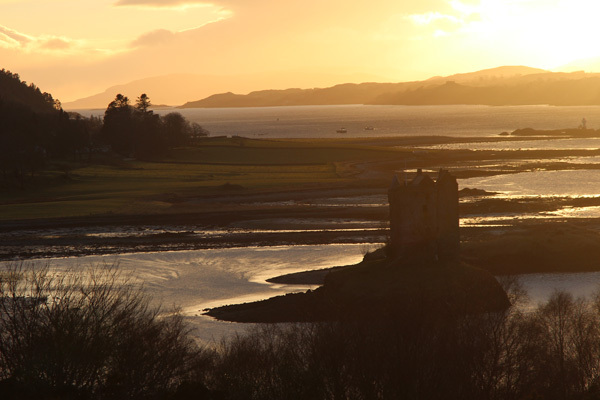 Ownership passed to the Clan Campbell in the seventeenth century and continued in their ownership until 1908, except for a brief return to the Stewarts in 1689. In the latter years of the Campbell ownership, the tower house served little more than a storehouse before losing its roof by the mid eighteenth century. 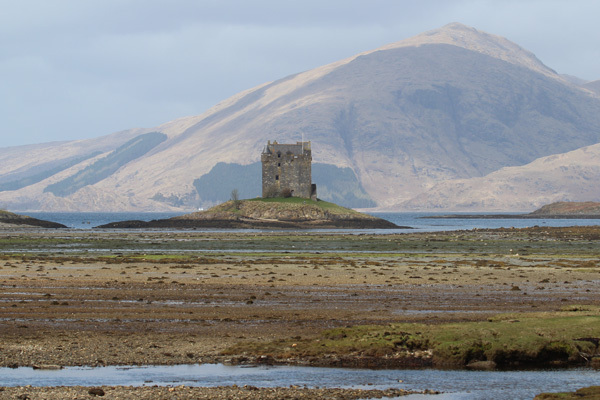 Charles Stewart of Achara acquired the castle in 1908, although by this time it had fallen into disrepair. 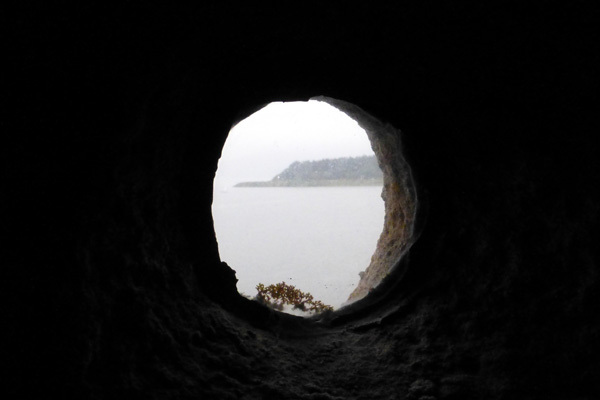 He and his successor carried out some basic restoration work before the castle was acquired by Lt. Col. D. R. Stewart Allward who carried out a major ten year restoration programme. 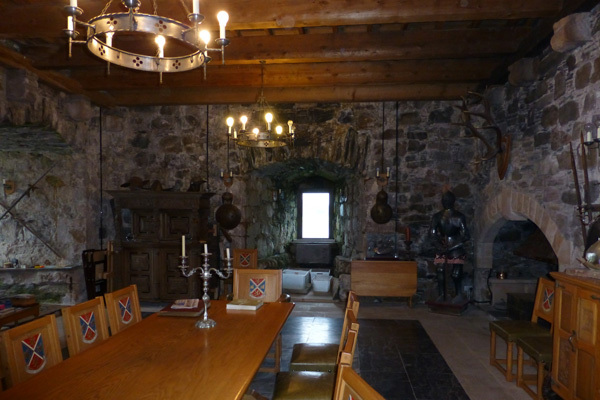 On his death in 1991, ownership passed to his family who continue the upkeep the castle today, which is maintained as a private family residence. 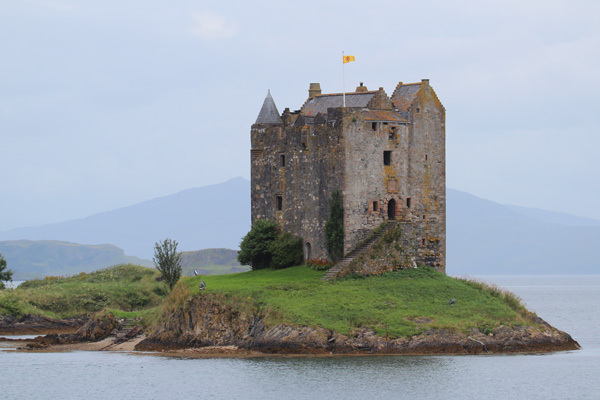 Castle Stalker is featured in Monty Python and the Holy Grail as Castle Aaarrgghh, is briefly featured in Highlander: End Game and is the inspiration for 'Castle Keep' in Susan Cook's children's book, The Boggart. The Castle is open to the public on selected days throughout the year; please see website for details. Booking is essential. 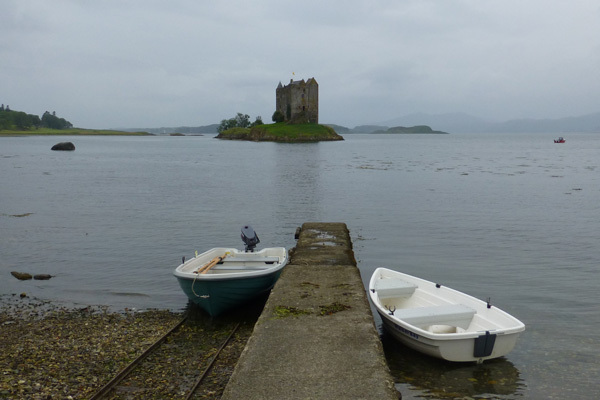 The castle is accessible only by a small boat from the east. The trip is not suitable for wheelchair users or those with limited mobility as there are numerous steps to negotiate both to access the castle and within the castle itself. There is a toilet for guest use on the lower floor of the tower house. 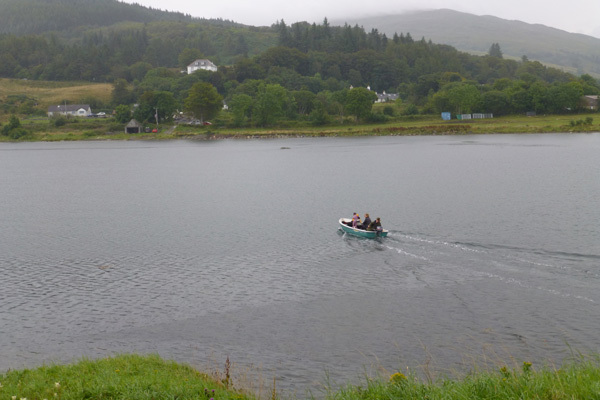 A guided tour is given by a member of the Stewart Allward family who meets you at the Castle Boathouse, the departure point for the tour. 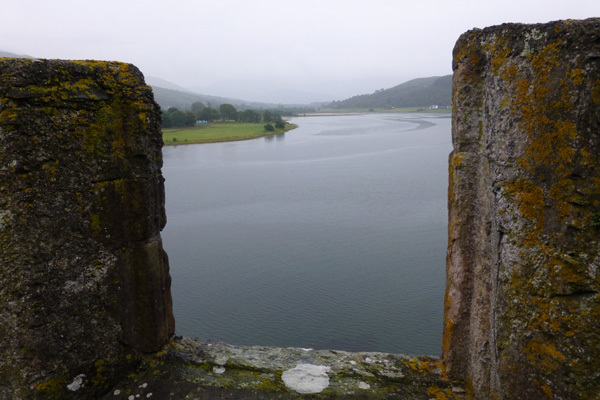 A small boat takes you across the approximately 100m stretch of water to the castle, where you climb some steps to reach the remains of the enclosure and then the castle. 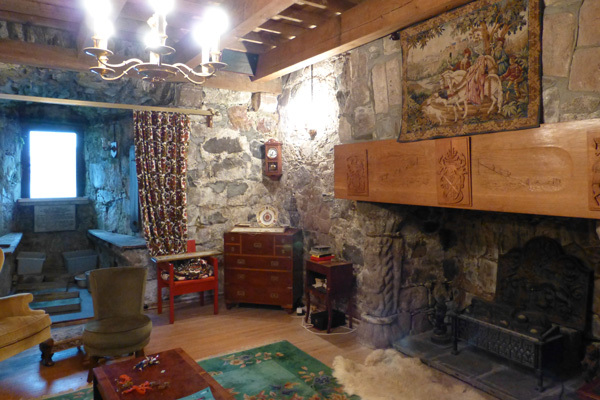 Once in the tower house you are taken for a personal and intimate tour exploring many of its rooms, the most impressive of which is the Great Hall. 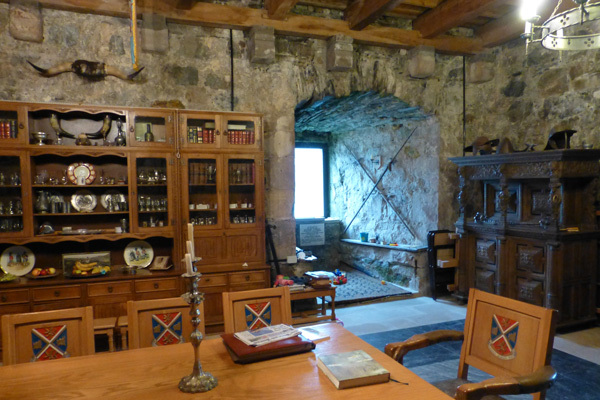 During the tour, you hear how Lt. Col. D. R. Stewart Allward acquired and restored the castle with the help of family and friends, and with lots of enthusiasm, hard work and ingenuity. 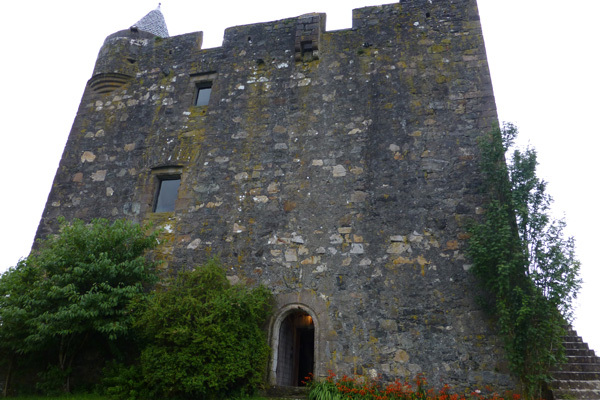 There are numerous family anecdotes and tales, as well as insights into the making of the film in Monty Python and the Holy Grail, which featured the castle. A really interesting tour with a personal touch. It is highly recommended.